Curry Employees with new retractable banner printed by Curry. Curry Printing showed their support for The Bridge of Central Massachusetts by participating in BridgeFest 2013, a festival to benefit the organization and its members. 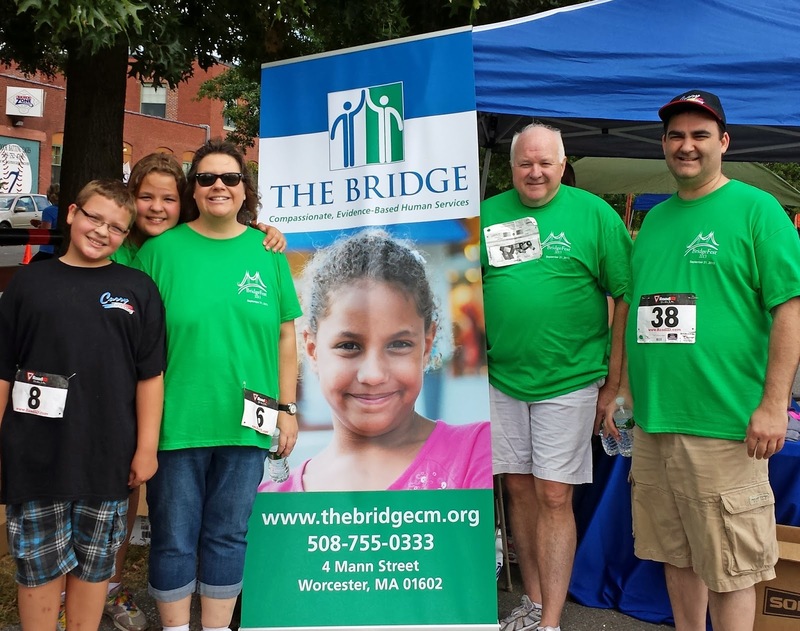 BridgeFest is a fun, family and community event that includes a 5K run/walk, food, arts & crafts fair, kids’ activities, pet activities, raffle and live performances. It was held on Saturday, September 21st outside the company’s headquarters in Worcester. 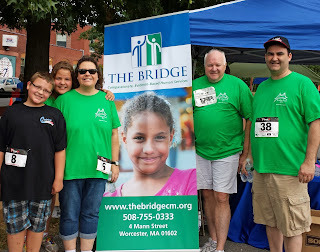 Curry's President, Peter Gardner said, “We take great pride in supporting The Bridge each year at their 5K event. They are great organization that does very important work for our community. Our employees who could participate really enjoyed the event and we're glad we could help raise money for such a worthwhile group.” Besides employee participation and fundraising, Curry Printing also helped sponsor the event.